Terminal 4 at John F. Kennedy International Airport (JFK) is in constant evolution. The most recent overhaul, which implemented biometric technology to expedite the security process, was announced earlier this month. 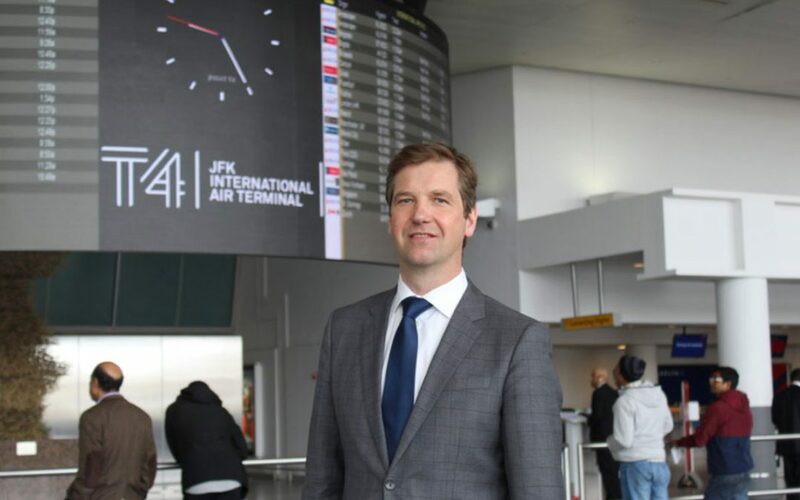 Roel Huinink, president and CEO of JFKIAT, which operates JFK’s T4, spoke with AXN’s Shafer Ross to discuss JFKIAT’s dedication to innovating the passenger experience. Ross: Can you discuss your plans to enhance the passenger experience through innovation? Huinink: In October, we announced a partnership with Crowd Vision, which is an industry-leading passenger measurement and analytic solution where we are able to optimize our operation, layouts and processes throughout the terminal. Using hotspots, we’ll be able to identify where queues are existing or we will predict where queues will occur, and that means a better plan to make sure that the passengers get a better, seamless flow. Through this partnership, we are able to enhance the passenger experience by employing the latest technology and innovation. The Crowd Vision solution will allow us to accommodate the rising volume in our facility. [Also], we have implemented CLEAR technology here at T4. CLEAR technology is a biometric program where passengers can experience a faster way of traveling. [We want to] to enhance the passenger experience and to make sure that they have a fast, seamless flow through our terminal. In the terminal expansive retail lounge, we offer more than 20,000 square feet devoted to shopping and dining, with 48 retail shops and 27 restaurants currently. We have chic and upscale boutiques, convenience and gift stores, world-class eateries together with our partner SSP [America], as well as well-known casual dining and healthy options. We will continue in developing the retail lounge to adapt to our passenger volumes and to adapt to our passenger profiles, because in the end it is about the seamless travel, but I also realize that people want to have a nice time to spend in the airport, we have to make sure that we find the right things for them. Ross: Another of your key goals is to enhance sustainability. How are you doing that in operations throughout Terminal 4? Huinink: T4 and JFKIAT are committed to reducing the carbon footprint, and to making sure we optimize the sustainability of this facility. Coming from Europe, and with Schiphol Group as our parent, we value very highly our sustainability goals, and we have to make sure that this terminal is held to the highest standards. And that’s why, earlier, Terminal 4 became the first existing airport terminal in the U.S. to receive the LEED gold certification by the United States Green Building Council. That is for operations and maintenance, and that means that we are recognized as one of the top performers in the world in energy management, water efficiency, air quality, and green cleaning. Together with our partner, SSP America, we have also implemented a certification by the Green Restaurants Association—and the Green Restaurant Association is a national non-profit organization helping restaurants become more environmentally sustainable. 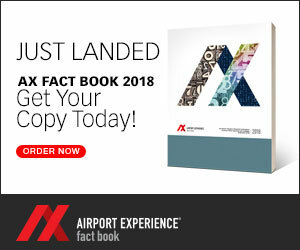 The T4 certification marks the first time an airport terminal in the world has reached that milestone. Ross: Are JFKIAT or Schiphol Group seeking opportunities beyond JFK? Huinink: I just recently became the CEO of JFKIAT, and we have a great challenge ahead of us here. I would really like to focus on getting the right job done here. Plans for Schiphol within the U.S. are currently … not being discussed, but that could always change in the future.